I wanted to let you all know that Makenzie and I are home. Makenzie did great and is just as happy as can be. She has tolerated about 2oz of water well so I am hoping to be able to feed her a light dinner later this evening. The usual nauseousness has not shown its face yet and I am praying it will stay away. I however can not say that our experience was all that wonderful. Every time I go into something like this I try to stay positive. I hope and pray that I will not have to advocate to the inth degree. No such luck today. They told me to be at the hospital at 7:15am.... two hours before our appointment. It takes about 10 minutes to do vitals, ten minutes to talk to the doctor, ten minutes to talk to the anesthesiologist, and thirty minutes from start to finish for the procedure. Needless to say we got there at 8:15am and am so glad it was not one second sooner. The nurse took Makenzie's vitals, asked me a few questions, I told her my concerns and expressed my requests. I made sure they understood at no point did I want then to give Makenzie any food or fluids by mouth and told the nurse she aspirated thin liquids. I explained Makenzie issues with going to sleep, de stating, and waking up. I asked her to make sure they brought me back to the PACU as soon as Makenzie was stable but not awake. I asked them to take out the IV BEFORE Makenzie woke up. About 9am Makenzie's rehab doctor came in. We talked about the same stuff as above and about the phenol. I showed her a video of Makenzie walking in her walker and asked her to please not mess it up! We laughed and talked about a few other things and she left. At this point our appointment should have been starting within fifteen minutes however, we sat in that square room for another hour before another face popped through the door. At this point I am emotional and beyond pissed off! I understand stuff happens that is more important and that is ok, I understand and if it was my kid slowing the schedule I know that other parents would understand that too. This issue is that not one sigle person came in to tell me what was going on or when we could expect to head to the OR. To me this jusst has, we don't really care, written all over it. The anesthesiologist came in and we talked for a bit about the how upset Makenzie gets. He agreed to let me hold her but would not let me hold the mask. I told her she would freak out if she could see or feel him ... which she did, but I was talking to a wall. He then asked if she had any loose teeth. I paused...... and then told him that I would not agree to a breathing tube unless Makenzie's life was in danger. I explained to him that Makenzie gets sick and vomits because she is scared but once she is sleeping she does fine. The nurse had told him differently (maybe because she really wasn't listening too me when we talked two hours before) and we went back and forth about that issue for a little while. Finally, I told the anesthesiologist I did not want him to do anything he was uncomfortable with and if he felt the need to use a breathing tube I would be more then happy to head home. Then he suggested giving her drugs to "calm" her down or maybe it was just to make his job easier, to which I declined. I made sure he knew that I wanted to be in the PACU as fast as possible. I told him to make sure and remove the IV before Makenzie woke up and were ready to go. Makenzie did great going to sleep other then a bit of gagging and irritation with someone putting a mask on her face. I headed out to the waiting room and played Bejewelled while keeping my eye on Makenzie's number up on the surgery board. About thirty minutes later Makenzie's doctor came out to tell me everything went great. We talked for about 10 minutes and I went to find out why they had not called me back yet. I waited 20 minutes and by the time I got back their Makenzie's eyes were open but she was not crying! I lifted up the blanket and guess what...... THE IV WAS STILL IN HER FOOT!!!!! So much for our trauma free, no need to cry experience. They got the hard part right but could not let me back to make sure she was ok and the IV came out. I also noticed a box of Apple juice on the table next to Makenzie's bed....... hmmmmmmm..... thin liquids, NPO, not sure why that was there!? They took the IV out..... Makenzie screamed. They took her vitals a couple times and we were out the door. I love Makenzie's Rehab doctor. She is about the only one that I debt with today who actually listened to me. Thank You! The thing is...... I know my daughter best. I was not asking for any huge favors and by the doctors and the nurses not letting me do what was best for Makenzie the only one that suffered was...... Makenzie. 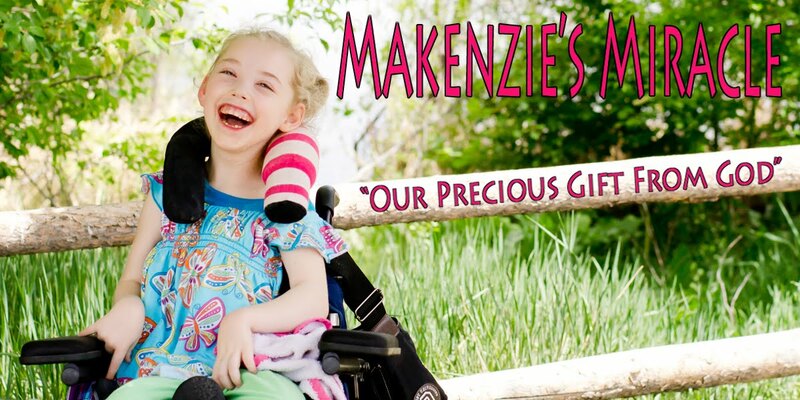 The things I asked for were simple but for Makenzie they would have made all the difference in the world. I am sorry if this post was wordy and way over detailed however not only did I want this post to let everyone know Makenzie was doing well this afternoon but also to document our experience for further reference. I spoke briefly with a patient representative while we were in the PACU. I gave him an outline of my concerns and told him I would elaborate with him when I was not taking care of my beautiful princess. Maybe one day medical professions will take time to listen to parents because they really do know best!